Brian McGrattan certainly knows how to get noticed upon making his return to the NHL. The AHL single-season penalty minute record holder and newly acquired Nashville Predator got to suit up against the Coyotes in the Preds 5-2 loss to Phoenix, but it didn’t go quite the way McGrattan was hoping for. With McGrattan being a fighter and the Coyotes having Internet superstar Paul “BizNasty” Bissonnette roaming on the ice there ready to drop the gloves, McGrattan was hoping to get famous on BizNasty. Bissonnette wasn’t having it though. Buddy Oakes of Preds On The Glass hears from McGrattan about how BizNasty wouldn’t have a go. Things in the AHL might be a bit more brutal with fights and shenanigans, but in the NHL when your team is up, and up comfortably, the chances are that an enforcer taking a fight while his team is up big will get him benched. Bissonnette did right by his team not taking a fight and potentially getting the Preds fired up and back in the game. McGrattan may have been out of the NHL for a bit, but even he’s got to know that no one will dance with him when things are out of hand. Ryane Clowe: the NHL’s most functional fighter? For better or worse, fighting is a part of hockey. It entertains fans and also allows teams to “police” the game. Yet while it’s true that few people stay in their seat for a fight, it’s a shame that so many enforcers don’t leave their seats on the bench until it’s time to march off to a boxing match on ice. Ryane Clowe: 12 fights and 62 points in 2010-11; 11 fights and 57 points in 2009-10. Steve Ott: 10 fights and 32 points in 10-11; 11 fights and 36 points in 09-10. Brandon Prust: 18 fights and 29 points in 10-11; 25 fights and 14 points in 09-10. Defenseman Theo Peckham is a little newer to the NHL, but he averaged more 18 minutes per game and engaged in 10 fights last season. Steve Downie and Milan Lucic aren’t usually in the 10 fight range, but they’re willing to drop the gloves and have much higher ceilings as scorers than anyone but Clowe. Zenon Konopka can do one thing beyond fighting: win faceoffs. Derek Dorsett might be worthy of an “honorable mention” alongside Neil as guys who fight a lot but can sprinkle in a bit more offense than usual. When you look at that list, it seems like most of the players can be labeled as pests who fight a bit more than usual or enforcers who get a light amount of points. Clowe stands out in that group, though. He fought the likes of Paul Bissonnette and Jared Boll last season, but also showed how much of an impact he could make while playing focused hockey by scoring 15 points in 17 playoff contests in 2011. Perhaps there’s a current player who provides an even better combination of fighting ability and on-ice usefulness, but if there’s only one player that future “mini-enforcers” could be modeled after, it might just be Clowe. There’s no doubt that the recent string of deaths for enforcers has been a troubling trend for the NHL. It might be a bit much to call three ugly instances an “epidemic,” but some are throwing around that term. However you frame the situation, the consensus seems to be that opening the lines of communication will be an important element of any plans to prevent more untimely deaths. While people debate the merits of banning fighting altogether, it’s important to keep a close eye on the guys who hope to continue earning paychecks for on-ice skirmishes. One fringe fighter who’s hoping to make his way back onto the New Jersey Devils’ roster is Cam Janssen. Janssen might be best known for his marathon fight with former Devils pugilist Pierre-Luc Letourneau-Leblond, but he’s had plenty of other battles in his career, with 17 in 2010-11 alone. With all of those fights in mind, Janssen seems like a good person to ask about the effects of fighting and how he handles the general drawbacks of his profession. He spoke candidly on that subject with Rich Chere of the Newark Star-Ledger, admitting that depression might just be part of the job. “I think it has something to do with the job. Absolutely,” Janssen said. “People look at the fame and the money part of pro athletes and they don’t understand how hard and stressful it can be. Listen, I have the absolute coolest job in the world, but it’s also one of the most stressful jobs in the world, too. Janssen probably touches on the central theme of much of the discussion: many believe that it’s dangerous for anyone to “bottle up” their issues with depression – from enforcers to everyday people. Janssen wasn’t sure what to make of the trend, since each situation was different. “With Boogaard, painkillers and alcohol are a deadly mix. He’s an NHL enforcer, but that could happen to anybody anywhere,” Janssen suggested. “From what I heard, Rypien had some off-ice issues and depression problems that I don’t want to get into because I don’t know the inside. From what I hear, he had problems and it wasn’t because of what he did and being an enforcer. So you can rule both of them out. 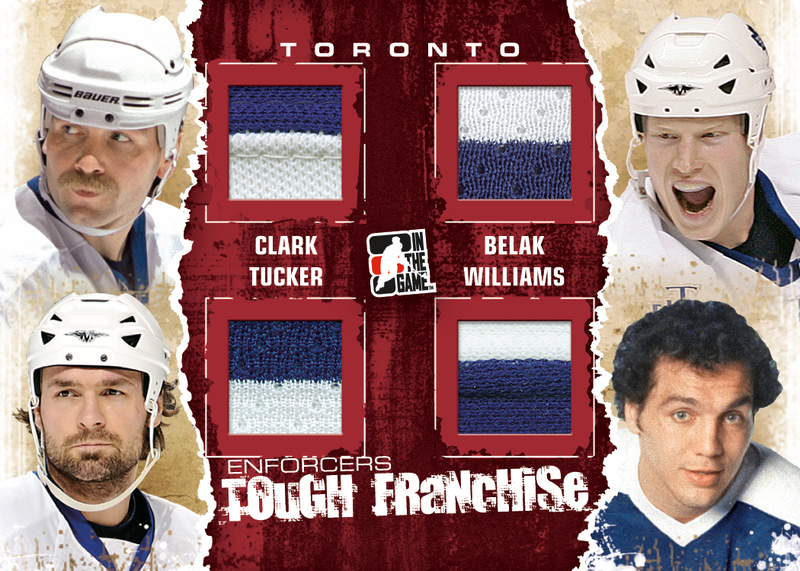 Belak’s funeral will take place in Nashville this afternoon. There still might be some finger-pointing going on when it comes to his death and the recent string of deaths in general, but all the NHL can do is take as many steps as it can to help those who need it. Getting enforcers like Janssen to open up about the issue could be an important first step.